On Madiba’s birthday, over 600 people representing 130 organisations gathered at the Rhema Bible Church at the Conference for a Future South Africa. The Conference resolved to unitedly tackle a number of issues to fight state capture and corruption, and to reclaim South Africa. A civil society coalition, FutureSA, was subsequently born, united by tenets of a common agenda to stop state capture and rebuild our country in the spirit of the Constitution. Our coalition is structured as follows: we have a group of patrons, a steering committee made up representatives of various organisations part of FutureSA and a broader ‘council of organisations’. Our growing list of patrons include: Sheila Sisulu, Mavuso Msimang, Kumi Naidoo, Adrian Enthoven, Prema Naidoo, Zwelinzima Vavi, Bruce Fordyce, Shaukat Fakie, Giet Khoza, Wayne Duvenage, Cas Coovadia, Mosibudi Mangena, Vuyiseka Dubula, Sydney Mufamadi, Sipho Pityana, Ela Gandhi, Bonang Mohale, Terrence Nombembe and Zac Yakoob. As a collective of civil society formations, we are profoundly concerned that the noble ideals of our democracy are being systematically destroyed at the highest echelons of the government. Our people struggled against colonialism and apartheid for centuries with unparalleled commitment and dedication. The people of South Africa have a strong tradition of resistance to any form of authoritarianism, and we are determined to continue that tradition. Since 1994, we started a journey towards a non-racial, non-sexist, democratic and prosperous society, based on a Constitution that entrenches the rule of law and strengthens our commitment to a more just society. It is our deeply held belief that a government based on the will of the majority must govern in a responsible and ethical manner, in the best social and economic interests of its people, and must commit the country to a path that reduces poverty, narrows inequality and achieves social justice. We believe that by standing up against state capture, we can rebuild the integrity of our hard-won democracy. The deepening crisis of poverty, unemployment and inequality. We believe that the first step towards ending state capture and reclaiming our future is the removal of President Jacob Zuma. We demand that our MPs vote Zuma out of power on August 8 during the motion of no confidence. But no matter the parliamentary outcome, the people must send a strong message to parliament that the capture of our state will not be tolerated. Ordinary South Africans must reclaim their future. We are urging all South Africans to come out in their numbers on August 8. We are calling for a lunchtime shutdown on the day. From 12pm to 2pm we want ordinary people – be they at home, at the workplace or at school – to take to the streets and make their voices heard. For those in Cape Town, we urge you to join the march to parliament against Zuma. Protest action in other areas will be communicated. For those unable to make it to any central points of activity, we urge you to organise your own picket – on a bridge, in your community, at your school, office or religious centre. At the same time, make sure to invite the media, as well as share images of your protest action on social media using the hashtag #FutureSA. We must ensure that parliamentarians hear the call of ordinary South Africans clearly, and put the interests of the country first. Parliamentarians as public representatives are duty bound to vote Zuma out of office, and steer the country away from the path of corruption, state capture, inequality, racial tensions, increasingly patriarchal values and a deepening national crises. Sports organizations should symbolically dedicate their games over the weekend, making a statement against state capture. Faith based movements are encouraged to engage in reflection around issues of state capture as well as pray that MPs put the country first in the motion of no confidence. Support the August 7th march in Cape Town, by the #UniteBehind movement and others. On the evening of August 7th citizens can symbolically switch off their house lights from 20:00 – 21:00. On the 7th and 8th we call on citizens to drive with their car lights on the whole day as a show of support for the motion of no confidence. However, the struggle continues beyond August 8. We must continue building unity across sectors and coordinate action against state capture and corruption. Unite with other organisations at local, regional and national levels to reclaim our democracy and support campaigns to end poverty, inequality, unemployment and gender based violence. Support the work of organisations that are challenging corruption and state capture in the courts. Engage with our public representatives, local councils, provincial legislatures, parliament and Chapter 9 institutions to bring back integrity to our public institutions. Support public servants and others who speak out against corruption and face victimisation and harassment. Join a united people’s struggle against state capture. The future of South Africa depends on it. Already, there are signs that pressure being brought by civil society as well as mass protests are beginning to bear fruit. 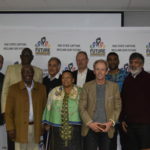 We must continue to support and encourage work such as the SACC report, the OUTA submissions to parliament, the Corruption Watch campaign on the appointments of the SAPS and Hawks’ heads, the inquiry started by Parliament into state capture, the announcement that the NPA has established a task team to investigate state capture, the discussions on funding for political parties, as well as the actions by regulatory bodies to look at the roles of KPMG and others. The cumulative effect of these efforts indicate that sustained action against state capture must continue being supported and intensified, so that we can indeed, reclaim our future. This will include work in different spheres and across various fronts: legal, communications, parliamentary, mass awareness and mass action. Rebuilding a state with integrity will not be an overnight event, but will require consistent work by civil society – work which we pledge to continue doing until we have put South Africa back on the path envisioned in the Constitution. 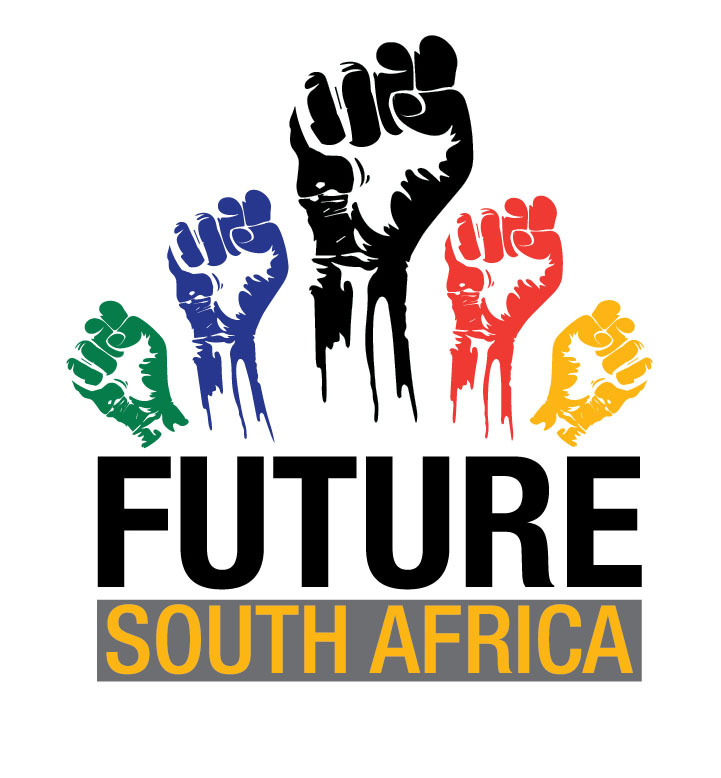 You can follow us on for updates about activities on Twitter: @future_sa__ . We are in the process of setting up a website and details will be made available. Any organisation that is interested in joining FutureSA can email shaheda@kathradafoundation.org .